If you only have 24 hours to spare in the Bay Area, you can’t experience it all, so make sure you experience the best. Here’s your guide to spending a perfect day in San Francisco. 1. Sample the cuisine in Chinatown, Japantown, Little Italy, Sudanville, Mini Laos, and Greenlandland: Pack your appetite, because you absolutely have to have a three-course meal at each of these culinary meccas. 2. Wait in line at The Line: If you see a line of people that wraps around the block, then you know you’ve made it to The Line, one of San Francisco’s hottest attractions. Locals and tourists alike flock to The Line, which can take anywhere between two and four hours to get through. Get there early, and you’ll have plenty of time to snap those iconic Line pictures you’ve seen circulating on social media! 3. Get acquired by PayPal: Unwind like the locals by selling a majority stake in your company to online payment system juggernaut PayPal. 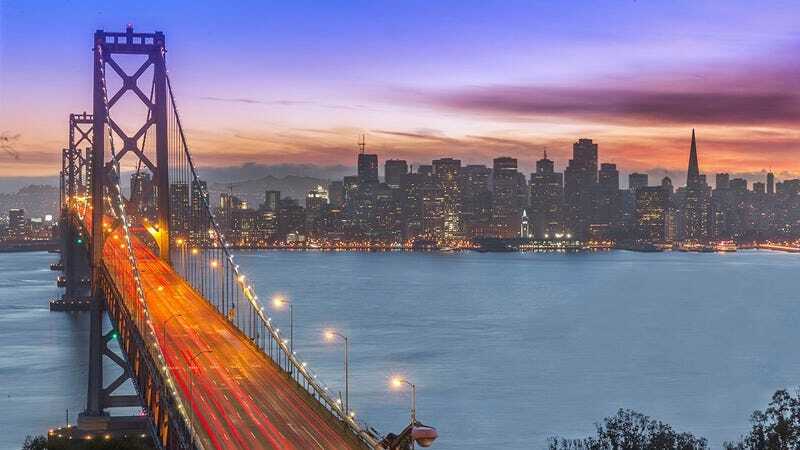 It may feel a bit indulgent, but vacations are times to indulge, and what better place to get acquired by PayPal than beautiful San Francisco? 4. Be outside: For the thrill-seeking adventure-lover, San Francisco offers the ultimate experience: being outside. It’s not for the faint of heart, but adrenaline junkies will enjoy strolling around the streets, looking up at the sky, and experiencing any of the city’s season-dependent weather. 5. Kill the mayor: Thinking of a trap to lure in the idiot mayor will keep the kids entertained for hours, and wrapping him in trash bags, finding enough rocks to weigh him down with, and throwing his body in the magnificent San Francisco Bay is a great bonding activity guaranteed to bring the whole family together at the end of your unforgettable day.